Photo: Students, staff and community volunteers plant edible fruit trees at Laurier's Northdale campus in Waterloo with Tree-Canada urban forester Celia Johnstone in October 2017. I am delighted to present Laurier’s 2017 Annual Sustainability Report, which tracks our progress and highlights our successes and challenges over the past year. Creating a culture of sustainability on campus and beyond remains a core commitment for Laurier, which is why the University is recognized as one of Canada’s leading institutions in sustainability. This past fall we were honoured to be named the most sustainable campus in Ontario and the third most sustainable in Canada in Corporate Knights Greenest Campuses in Canada index for 2017. 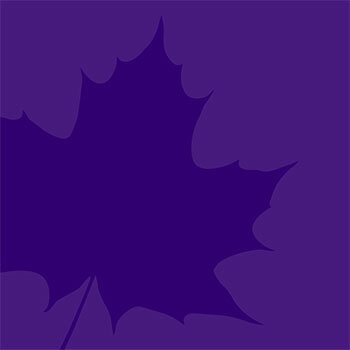 This year has seen a number of new sustainability initiatives at Laurier. We celebrated the opening of our newest building, Lazaridis Hall, which is targeted for Leadership in Energy and Environmental Design (LEED) Gold. We also completed the first phase of the Laurier Energy Efficiency Project (LEEP), a comprehensive, multi-phase initiative to transform Laurier’s building portfolio into a leading example of sustainable management. We are also proud to have achieved the Fairtrade Campus designation in 2017 from the Canadian Fair Trade Network. Through the Sustainable Hawk Fund, our home-grown seed fund for sustainability initiatives, we have invested in numerous student, staff and faculty-led projects to help grow sustainability ideas that benefit the Laurier community. While we have made great strides, there remains much more we can do. As a next step, Laurier’s second 5-year Sustainability Action Plan is scheduled for release in the coming months. Based on extensive consultation with the Laurier community as well as our external partners, it outlines further enhancements to our operations, as well as our programming to help prepare our students for the global challenges we face. Thank you for taking time to review our progress. The pursuit of sustainability is an ongoing and collective endeavour. I welcome you to share in celebrating our successes and encourage you to join our efforts in continuing to lead by example. “a culture of sustainability on campus and beyond remains a core commitment for Laurier"
Laurier has long put a major emphasis on sustainability with an approach rooted in the integration of sustainability across campus operations and infrastructure, teaching and learning, and community partnerships. Our Annual Sustainability Report provides an overview of our sustainability activities for 2017 and highlights the achievements that have contributed to Laurier being recognized as an institutional leader. It is also an opportunity to reflect on lessons learned and look forward to the challenges and opportunities that lie ahead for the coming year. In addition to showcasing our key sustainability successes over the past year, this report will highlight how our achievements align with and contribute to the United Nations Sustainable Development Goals (SDGs). In September 2015, the United Nations adopted a set of goals to end poverty, protect the planet, and ensure prosperity for all as part of a new sustainable development agenda. The seventeen sustainable development goals (SDGs) comprise a shared global vision and framework of sustainable development priorities to 2030. A critical role is played by universities in addressing these global challenges and achieving the SDGs. Through teaching and research, universities have a responsibility to prepare the next generation of leaders to be able to understand and meet these global challenges. Universities play a vital part in finding sustainable social, economic, environmental and technical solutions to increasingly complex global problems and pioneering innovation through their own operations to set an example for others. Laurier was named the most sustainable campus in Ontario and the third most sustainable in Canada by Corporate Knights Greenest Campuses in Canada index for 2017. Laurier was recognized at Sustainable Waterloo Region’s (SWR) 8th annual Evening of Recognition for having the greatest increase in sustainable commuting in 2016.Laurier was recognized at Sustainable Waterloo Region’s (SWR) 8th annual Evening of Recognition for having the greatest increase in sustainable commuting in 2016. Laurier Energy Efficiency Program (LEEP) is in full swing in Waterloo and Brantford! So far, more than 15,000 conventional lights have been upgraded to LED; 2 solar walls have been installed at the Library and Bricker Residence; and over 1,300 low flow water fixtures have been installed across both campuses. * tonnes of carbon dioxide equivalent. Laurier launched a Sustainability Council in Brantford residences as part of the First Year Leadership Program. An upper year student was hired part-time by the Sustainability Office as an Advisor to the council to coordinate sustainability focused programs and events throughout the year. In the spring of 2017 Laurier installed our first campus apiary, consisting of two buckfast beehive colonies. The first honey harvest was completed in the fall, yielding approximately 70 jars of Hawk Honey. In January 2017, Laurier became the 20th campus in Canada to achieve the Fairtrade Campus designation by the Canadian Fair Trade Network. In 2017, Laurier implemented the Laurier Energy Efficiency Program (LEEP) to help reduce energy consumption and costs while also mitigating GHG emissions at our Waterloo and Brantford campuses. Phase 1 of LEEP focused on the Library, Bricker Residence and Grand River Hall and was completed in 2017. It included standard and deep energy retrofits such as the installation of solar thermal walls to harness thermal energy from the sun, LED lighting upgrades, low flow water fixtures, submetering, and demand control ventilation (DCV). The implementation of Phase 2 began in 2017, energy conservation and GHG reduction initiatives were expanded to an additional 35 buildings, which started in 2017 and will continue into 2018. Phase 3 also kicked off in 2017. This phase includes the installation of solar photovoltaic (PV) arrays on six buildings on the Waterloo and Brantford campuses and significant battery storage. In 2017, Laurier’s absolute and intensity-based (tonnes CO2e/ft2) GHG emissions increased by approximately 7% in 2017 . The majority of this increase is largely due to new buildings such as Lazaridis Hall being brought online. Overall Laurier has reduced its energy consumption and in-tensity-based GHG emissions by approximately 31% from our 2009 base year. Photo: Lazaridis Hall atrium with natural light and bamboo grove. Laurier celebrated the grand opening of Lazaridis Hall in May 2017. The building, which is the new home of the Lazaridis School of Business and Economics and the Department of Mathematics, is targeted for LEED Gold certification and is currently going through the final assessment process. The LEED certification recognizes buildings designed and built to high standards of sustainability in energy efficiency and environmental and human health. Lazaridis Hall boasts high-efficiency boilers and chillers; an abundance of natural light; solar panels; measures to ensure indoor air quality; rainwater capture and use; green-roof areas; energy-efficient lighting systems; an electric vehicle charging station; indoor secured bicycle parking and showers; and other green features. Laurier’s comprehensive waste management program diverts waste from landfills through reducing, recycling and composting. The amount of waste diverted from landfill to organics, recycling or reuse - our diversion rate - has remained fairly consistent to last year at 61%. A special effort will be made in 2018 to reduce the amount of waste we are generating on campus and improve our waste diversion rate. Laurier’s annual Move Out Program was held in April 2017. Through this program we were able to divert 4.5 tonnes of e-waste, clothing, books and non-perishable food from the landfill by collecting and donating to community partners for beneficial reuse. This program will be expanded to Brantford in 2018. Through the Laurier Energy Efficiency Project (LEEP) a variety of water conservation measures were implemented in buildings across the Waterloo and Brantford campuses such as the installation of low flow toilets, faucets and showerheads in 30 buildings. Above: rainwater is captured at Lazaridis Hall, stored in a below ground cistern (pictured here) and recycled for grey water use in the building. Each year TravelWise conducts an employee travel survey among Laurier staff. In 2017, Laurier was recognized at Sustainable Waterloo Region’s (SWR) annual Evening of Recognition for having the greatest increase in sustainable commuting in 2016. This was based on Laurier’s use of TravelWise — a commuting support network for employers. Laurier’s first electric vehicle (EV) charging station was installed at Lazaridis Hall and became operational in September 2017. From the launch date until the end of 2017, 219 charging sessions were undertaken and usage of the charging stations has been steadily increasing. 108 bike parking spaces (94 outdoor, 14 indoor) and 2 showers were added to the Waterloo campus and made available in Lazaridis Hall to encourage cyclists year round. Laurier’s Food Services department is constantly working on ways to reduce food waste and integrate sustainability into food purchasing decisions. Numerous on-campus eateries serve locally grown produce as well as cage-free eggs. In the spring of 2017, Laurier’s first beehives were installed on the Waterloo campus. Two Langstroth hives (vertically modular beehives) were installed at the Northdale site, comprising Laurier’s first honeybee apiary. In the fall of 2017, over 70 jars of honey were harvested – while leaving plenty left for the bees to overwinter. In 2018 the apiary will be used for educational purposes, as well as faculty and community partnerships, to showcase the importance of sustainable agricultural practices. Also in 2018, Brantford campus will see the installation of a rooftop apiary that will support faculty research and student engagement. In January 2017, Laurier received the Fairtrade Campus designation from the Canadian Fair Trade Network (CFTN). Under the designation, all food outlets operated by Laurier and the Wilfrid Laurier University Students’ Union in Brantford and Waterloo, including Laurier catering, serve fair trade certified coffee, and fair trade certified options for tea and chocolate bars. Through our food services provider, Aramark, Laurier serves only Marine Stewardship Council (MSC) certified seafood on campus. MSC is the world’s leading certification and eco-labelling program for sustainable wild caught seafood. Over $17,000 was raised for the Laurier Forest Project through the Laurier Alumni’s crowdfunding platform HAWKstarter, a Canada 150 Tree to Our Nature grant, and a Tree Canada - Edible Fruit Tree grant. As part of this project and other initiatives, over 300 trees and shrubs were planted across the Waterloo campus in addition to a number of pollinator supporting gardens. This includes the trees planted beside the Indigenous Student Centre, the Enactus Pollinator Garden located beside Willison Hall along Mid Campus Drive, the edible fruit trees and shrubs planted at the Northdale site, and the art installation at the Library lower seating area which included some native edible plant species. Above: Celia Johnstone from Tree Canada teaches a student volunteer how to plant an edible fruit tree. Photo: a packed classroom in Laurier's Lazaridis Hall building. UU101: Perspectives on Sustainability is an innovative first-year course that was offered in 2017 for the fourth year in a row. Since its inception, enrolment in the course has more than doubled to 150 students in 2017, often reaching capacity soon after enrolment begins. The goal of the course is to help students learn about and reflect on the challenge of sustainability from philosophical, social, economic and cultural perspectives, as well as the complex ways natural and social systems interact. In October 2017, Chris Turner, one of Canada’s leading voices on climate change solutions, delivered a lecture at Laurier’s Brantford campus titled, “Taking the Leap: Embracing the Sustainable Economy”. The talk was organized by Peter Farrugia, associate professor in the departments of History and Social and Environment Justice. Turner’s talk explored the ideas and recent breakthroughs in state-of-the-art renewable energy and urban design that he posits can be the foundation for a new, sustainable world order that allows individuals and businesses to thrive in a 21st-century economy. Photo: camp setup at Laurier's Trail Valley Creek Research Station. Members of Laurier’s faculty are undertaking research in areas that span the spectrum of sustainability-related themes. Key areas of focus include water, climate change, and sustainable food systems. In September 2017, Laurier opened a research office in Yellowknife, Northwest Territories, allowing the university to further develop its national and international leadership in cold regions research. The research office provides a workspace to visiting faculty, students and staff and serves as a base for Laurier’s research activities in the North, as well as for liaising with partners, including various levels of government and Indigenous communities. Laurier Associate Professor Jennifer Baltzer, Canada Research Chair (CRC) in Forests and Global Change and Associate Professor William Quinton, director of Laurier’s Cold Regions Research Centre , are co-leading a large, multi-disciplinary, multi-institutional team studying the sustainability of water in the Northwest Territories through the Northern Water Futures project funded through the Global Water Futures program. Northern Water Futures aims to take a leading role in sustainable development in the North through science-based environmental prediction models, decision support tools and mitigation strategies that will lead to prudent investment and knowledge-based community adaptation. Dr. Alison Blay-Palmer, director of the Laurier Centre for Sustainable Food Systems and an associate professor at Laurier, is part of a group of researchers at Wilfrid Laurier University, Lakehead University and the University of Toronto who have taken a first step toward producing a comprehensive report card on the sustainability of Canada’s food systems. Their new report, “Food Counts: A Pan-Canadian Sustainable Food Systems Report Card,” brings together 61 existing measures of social, environmental, and economic well-being to examine food systems at the national level. Launched in 2017, Laurier offers a Certificate in Sustainability for faculty and staff that participate in our “Lunch and Learn” workshop series. The goal of the program is to increase employee literacy and awareness on global-to-local sustainability topics as well as to encourage behaviour/culture change through increased use of on-campus programs and services. There are eight workshops offered throughout the calendar year, including topics such as Sustainability 101, Carpooling and Alternative Transportation, Energy: at Home and Work, Recycling and Reuse, and Sustainable Procurement and Purchasing. Eight staff members successfully completed the certificate program in 2017. This program will be expanded to the Brantford campus in 2018. Laurier hosted Green Energy Doors Open at Lazaridis Hall in September 2017. The free event highlighted sustainable energy projects and success stories in provinces across Canada. A panel of Laurier and community energy experts came together to discuss our work towards sustainable energy and the opportunities that exist for post-secondary institutions. In fall 2017, the Sustainability Office launched a new annual student award for sustainability. The Something Golden Award supports a Laurier student who demonstrates an active interest in sustainability initiatives. Staff and faculty can contribute to this award through automatic payroll deductions. In the spring of 2017, Laurier hosted a guided walking tour of on-campus sustainable agriculture initiatives through participation in the global Jane’s Walk movement; Jane’s Walk is a movement of free, citizen-led walking tours inspired by Jane Jacobs. The walks get people to tell stories about their communities, explore their cities, and connect with neighbours. Through the annual $30,000 Sustainable Hawk Fund program, the Sustainability Office funded the following student projects focusing on social sustainability. Sustainability Through an Inclusive Lens Design Lab: The STIL Design Lab is a student-led initiative that aims to engage a multi-disciplinary group of stakeholders in the process of co-creating a more inclusive waste-management system using a human-centered design approach. The goal of this initiative is to retrofit the current waste-disposal units across Laurier’s campus to make them more accessible to individuals with visual-impairments (VI), and potentially, to those with other diversabilities. The Sustainability Office partnered with Laurier International to host the Sustainable Development Goals (SDG) Youth Training Canada event in celebration of Canada 150. The goal of the training was to mobilize 10,000 Canadian youth to advocate and implement the SDGs through 100 local actions and 50 trainings in colleges and universities across Canada in 2017. Through this event, students had the opportunity to interact with UN officials, policymakers, and civil society activists who identified, created, and are implementing the SDGs around the world. Participants developed a deeper understanding of the Sustainable Development Goals and connected with organizations that support SDG advocacy efforts. The Sustainability Office partnered with Laurier International for their annual exchange program which saw a group of elementary level student from China spend a week at Laurier. The program included a session on sustainability. In 2017, Laurier joined a group of 14 post-secondary institutions from across Canada in a pilot program with the World Wildlife Fund (WWF) to develop the Living Planet @ Campus program. The goal is to design a program that can be adopted country-wide that creates opportunities and incentives for students to participate in sustainability initiatives on-campus and beyond. As a key community stakeholder, Laurier participated in the Region of Waterloo’s Climate Change Adaptation ‘Workshop in a Box’ exercise. The goal of the workshop was to identify how we as members of the Waterloo community are already, or could be, affected by changes in local climate conditions. The information will be used to help the Region assess how the community can better adapt to the impacts of climate change now and in the future by minimizing risk where possible. The WWF Panda and the Laurier Golden Hawk share a hug during Orientation Week on Alumni Field. Learn more and stay up to date on sustainability at Laurier on our website and social accounts.